Halloween is just around the corner, and if you aren’t careful, it can cost you lots of money. In fact, every year it seems more Americans are spending more and more money to celebrate the holiday. Between the costumes, parties and candy it can add up quickly. Here are a few ways to keep the Halloween costs at a minimum while still having a fun time. 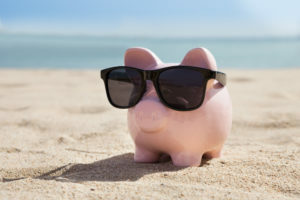 The secret to managing money in any situation is to plan out your spending ahead of time. Holidays are no exception. Plan out which costumes you want, and find out if you can make them or if you have to buy them. How much candy will you need? Are there any decorations you need or parties to attend? 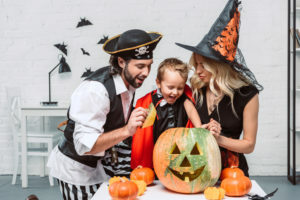 Make a Halloween budget and save up your money ahead of time so that you won’t have to scrape up the money when the day comes. A great costume is always a priority for kids and adults alike. When you are planning out what you want to dress up as, consider finding creative ways to make your own costume. You don’t have to be a seamstress to DIY a costume. Search the internet for clever or original costume ideas that won’t break the bank. If you do decide to purchase a costume, always compare prices before you take the plunge and actually purchase one. seems like more people are decorating their homes for Halloween with every year that passes. If decorating is something you love to do, consider saving money by making your own decorations. Dollar stores have many of the supplies needed to make spooky decorations for a fraction of the price. Plus, you get to explore your crafty side and have fun while making them. Just search the internet for tutorials–there are a ton out there. A few weeks before the actual holiday, many of the big box stores start putting their Halloween candy on sale. If you are strategic with the sales you can pay way less for candy than you would if you were to buy it at regular price. Also, look for any coupons for candy. Many manufacturers send out coupons in the newspaper for candy in the weeks leading up to Halloween, and some stores have their own coupons as well. So, scavenge the sales papers and get your coupons ready, and you won’t spend a fortune on candy this year. So you see, Halloween doesn’t have to break the bank. 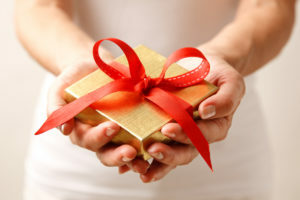 With a little planning, you can make the holiday fun and still stick to your budget. Even though it’s still warm outside right now, the official start of autumn is this weekend. Soon the air will be cooler and it will be time to celebrate all the things that make fall so magical. 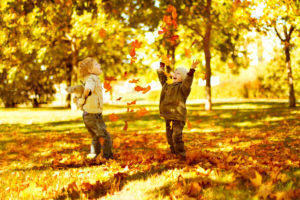 Here are some ideas of fun fall activities your whole family can participate in that won’t break the bank. Find a local apple orchard that will let you come and pick your own apples. You will be outside in the crisp fall air, and you will get to enjoy nature as you pick the perfect apples for fall baking, or even just for snacks. This proves to be a really entertaining activity for children. This activity is a great follow-up to apple picking because you can use your apples to bake all sorts of fall treats. Apple pie, candy apples, applesauce–the possibilities are near endless! Outside of apples, think about what you could make with other autumn produce like pumpkins, acorn squash or sweet potatoes. The internet is saturated with mouth watering recipes for the fall. Get your kids in on the action and let them make their own treats (supervised, of course). Pumpkin patches these days are packed with tons of different activities other than pumpkin picking. They have corn mazes, hayrides, kettle corn and many more activities for kids and adults alike. They are basically a fall festival happening every weekend. Find a pumpkin patch that has lots of activities and consider taking your family one weekend. If you have one close to you and want to go multiple times, see if a season pass might be more cost effective for you. A free activity that is great for the whole family is to take a hike in a local park or forest near you. Hikes are perfect for fall because the temperature is cooler and the leaves are beautiful this time of year. You will get to enjoy the stunning nature of autumn as well as get some exercise. Take a picnic lunch and make a day out of it–you won’t regret it! There are many other activities not listed here that are fun to do during the fall season. To find out more, just search the internet for “Fall Activities in _____” and enter your city name. You will find tons of possibilities just waiting for you to explore. Happy Fall! It’s hard to believe that it is that time of year again–the time of year where summer fun starts to fade into a shopping frenzy for back-to-school. School supply shopping can be frustrating if you wait until the last minute but depressing if you start too early. So what’s a mom to do? Here are some ways to not only save money, but also save your sanity while shopping for school supplies. Buying all of your school supplies at the dollar store sounds like the ultimate bargain, right? I mean, everything is only $1–you can’t beat that! Actually, you can. After Independence Day, all the “big box” stores start putting out their lovely back-to-school displays, and that means that they start running weekly sales on all of their school supplies. At the dollar store you can buy a 24 pack of crayons for $1. At Target, during their school supply sales, you can pick up a 24 pack of Crayola crayons for around 50 cents. Sometimes, during peak buying season, you can see them for 25 cents. Folders during these sales can be bought for 15-20 cents a piece. So, buying everything for a dollar isn’t always the best deal. If you play your cards right and shop all of the sales, you will drastically save more money than buying at the dollar store. If you buy your groceries at Walmart, this probably won’t apply to you as much, but if you use a traditional grocery store, check out their school supply section. Sure, they won’t have as big of a selection as the other stores, but they still run great school supply sales just like Walmart or Target. People often overlook regular grocery stores for school items, but you can often find their sales to be better than the bigger stores. It’s just a bonus that you can pick up your school supplies while you do grocery shopping–so it’s a one-stop shop! Here in Alabama, we all know that late summer tradition of “Tax Free Weekend”. You know, the three days that send chills down the spines of retail workers all over the state. 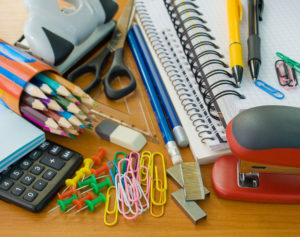 Yes, for one weekend only, all school supplies, clothing and select electronics are free of tax! That means that everyone is shopping for the same items on the same weekend resulting in chaos of Black Friday proportions. If you get stressed out easily by the thought of getting your kids ready for going back to school, DO NOT shop on this weekend. It’s totally worth paying the extra 9 cents on the dollar to keep your blood pressure at a normal level. Instead, shop at abnormal times like early in the morning, later in the evening or during the week. There won’t be as many people, and you will have your pick of the merchandise. Back-to-school shopping doesn’t have to be stressful. Just stick to these three tips and you will get everything you need without breaking the bank or you sanity.